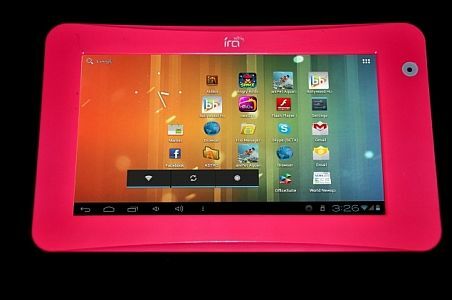 WishTel has introduced an Android 4.0 Ice Cream Sandwich-based budget tablet, WishTel Ira Thing 2, at Rs. 6,500. WishTel has already launched two budget tablets – Ira and Ira Thing in India. The WishTel Ira Thing 2 sports a seven-inch multi-touch capacitive touch display, 4GB internal storage and 1.5GHz processor with 512 MB of RAM. It has 1.3MP front facing camera. There is a HDMI port to connect compatible TV with the tablet. The tablet comes with a 3,000 mAh battery, which is rated to deliver browsing time of about 4 hours. The device will be available in six colours - black, red, yellow, pink, blue and white. WishTel says the device has been designed and manufactured in the country, and also offers Indian language keyboard to support 14 Indian languages like Hindi, Marathi, Gujarati, Bengali, Tamil, Kannada, Malayalam, and Oriya. The Ira Thing 2 offers a TV app which offers access to over 120 TV channels. It also has a pre-installed e-news application, which allows users to access to news from more than 55 newspapers across India. The WishTel Ira also has 3G, Wi-Fi and GPS. WishTel had launched the Ira Thing and Ira budget tablets earlier this year. 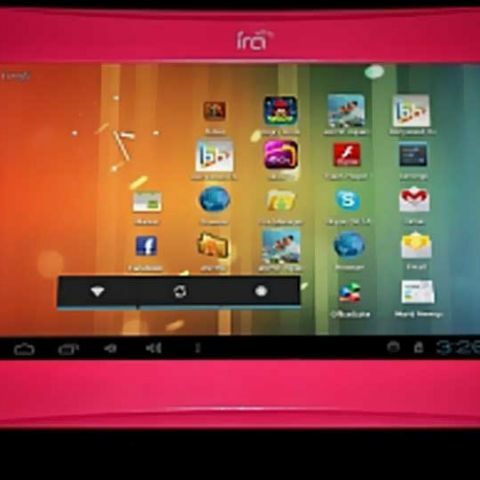 With the launch of the Ira Thing 2, competition in the budget tablet segment is likely to intensify further. The market is already awash with budget tablets (including the ICS-based ones as well) such as the Micromax Funbook and Karbon Smart Tab 1. You can also check out our Top 10 Budget Tablets.